It does seem like it would do that. I shall keep all my cookies away from it! They're better for the most part. That was just a terrible day. >.< Thankfully the days following it haven't been near as bad. You're welcome, just keep any cookies away from the pillow, cause it seems like it would eat anything it would find. How are your days and more important the coming days after all the work? expecting to have a better rest of the week? 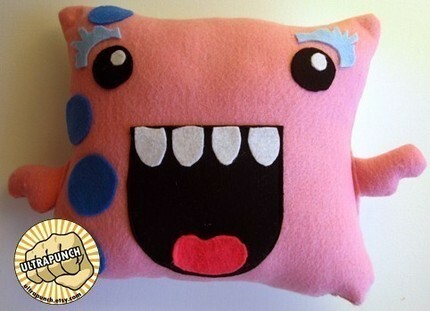 Heyhey, saw you're tired/about to pass out, so tought about shoving this pillow on your wall before you pass out. Hope that after all this chaotic time you get some time to relax now and get well and energetic soon again! LOL Oh you are always good to make me laugh, whether you bring up that thread or not.